Name: CJ ArnesenDate: 4-19-08 Location: 4 Wheelparts off of Bird Ave. Hwy280 Trail Boss: Tom Vella Attended by:Rich, Dede & Mike, Jason, David G., Jim H., Dennis, Darell, Ellen, Jay, Jim O., Mike P., Chuck, Sherry & Ole, Tom, CJ, Ron, Mike G., Daniel. I showed up a bit late to the meet and greet, around 10:20am. 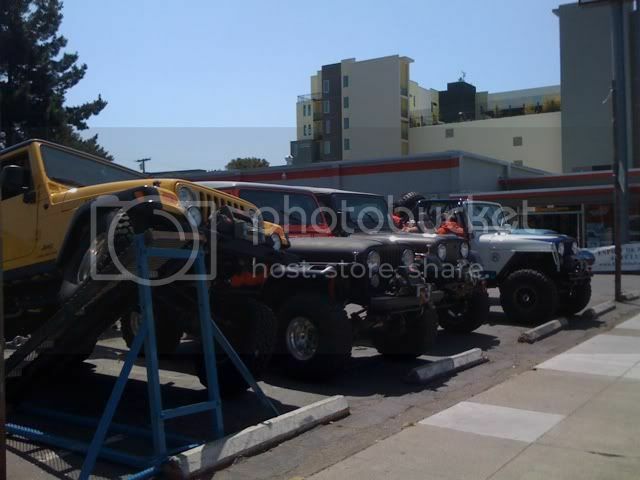 The 4 wheelparts parking lot was already full of ED4 rigs. I found a parking place and was welcomed warmly. I spent most of the event checking out everyone’s rig. Some of them had recently been completed or heavily upgraded. Next are Ron’s, Ole’s, Tom’s, Jason’s and Jim O.’s Jeeps all lined up. Here is shot of Jim’s recently finished CJ. It is absolutely gorgeous. Richard B. probably had the best display of rig at the meet up. 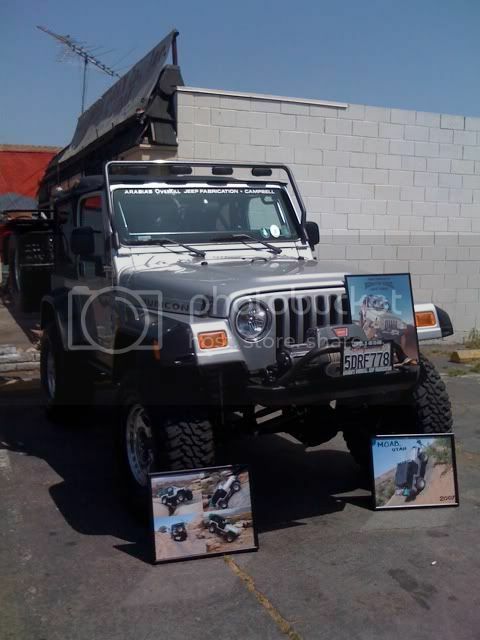 He had framed photos of his rig over the years. Everyone was a delight to talk to and had wonderful stories to share. I talked to Sherry for a while about the Safety Clinic, which I’m very excited to attend. Jim H. showed me his copious amounts of skid plating and armor he has on his jeep. He also mentioned his new "flashlight" which I can’t wait to see. Daniel toured me around his VW (totally awesome setup by the way). Jason was kind enough to show me a bit about his rig, and even came over and checked mine out. I was impressed by all of Ellen’s trip placards/ badges on her dash. That is a lot of trips. 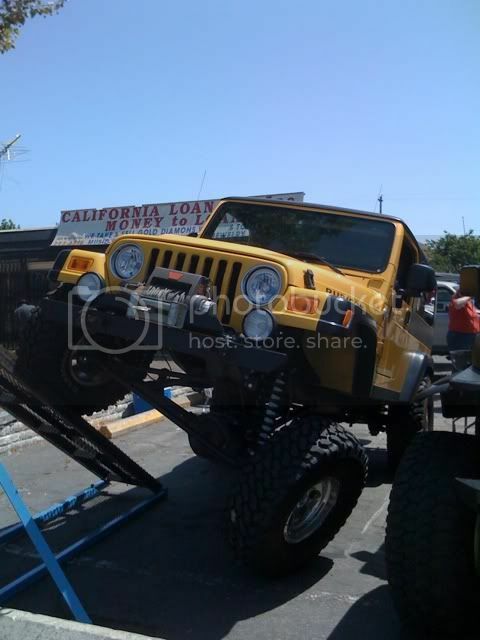 Ron’s LJ is way too pretty, but I do like the yellow. I was impressed by its flex. Jim O.’s jeep and Jason’s are truely works of art. Next time I’ll have to check out the Early Broncos more as I really don’t know much about them.